Stuck in the middle? Well Turbo XS has the answer to you exhaust woes. The Turbo XS Cat Back Adapter allows you to use the Turbo XS 3” Bellmouth Design Downpipe with any cat-back exhaust system. Wanna squeeze some extra power from you exhaust but still need to pass emissions testing? The Turbo XS Catalytic Convertor Pipe is the answer for you. Larger diameter piping, with all necessary bungs for sensors and a high flow steel mesh catalyst ensure performance and compliance. 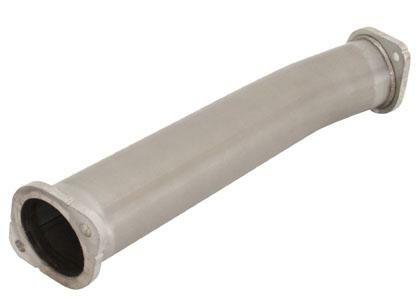 This 3”, 304 stainless steel race pipe replaces the stock catalytic converter for unmatched performance. Off Road Use Only.